"A really efficient totalitarian state would be one in which the all-powerful executive of political bosses and their army of managers control a population of slaves who do not have to be coerced because they love their servitude." Unless Bitcoin and other cryptocurrencies are able to somehow be stopped by governments then they are going to completely change the world for the better. I get the feeling that right now Bitcoin is where the Internet was in the early 90s. It is still so new that the true beauty of Bitcoin has yet to shine. And it's going to take some time before Bitcoin can shine. Just as it took the Internet a while to develop HTML, modern day browsers, broadband and all the other pieces that make the Internet what it is today, Bitcoin has the same growth period to grow through. We have still yet to see the Google of Bitcoin, or even the Yahoo for that matter. Right now we are still looking at Bitcoin with a text browser from the early 90s. We have a long way to go. There isn't anything that interests me right now the way Bitcoin does. And it has interested me the past 2 years. I think the breakthrough of Bitcoin is the best technological advancement since the Internet. The Internet brought us free distribution of information. Bitcoin brings us free distribution of commerce. And to understand the importance of commerce you have to understand how restricted commerce throughout the world currently is. "The Internet brought us free distribution of information. Bitcoin brings us free distribution of commerce." Right now commerce takes place through fiat currencies throughout the world. The entire world is running on loans and debt. We don't have a real economy right now. The entire world is running on borrowed time with borrowed dollars. The whole world is in debt to money. The whole world has their wealth extracted through their money. The whole world has governments determining what innovations move forward and which ones do not through money. Every year around 1/2 of the wealth we work towards is extracted from us in the form of taxation and inflation. This wealth could be invested in a myriad of productive, life enhancing businesses but is instead invested in old ideas and non-productive activities. The amount of innovation and resources wasted just by government money alone is insane. We talk about wanting better education, better healthcare, better everything and yet our very money does not allow for these things. Our money, enforced by our governments, is what holds us back more than anything. Real economics is not allowed to take place in our current world. But Bitcoin is changing that. And if governments are unable to stop Bitcoin, which it will be very difficult to do, then we are in for a life changing world in the near future. Just as how the Internet removed the lies of religion and government, so too will Bitcoin remove the chains of government. Bitcoin is the first legitimate competition to government money since... gold? There really hasn't been any competition to fiat money for a long, long time for a few reasons. One is that it is technologically a great challenge. It is pretty hard to create a currency that holds value, can be used easily for exchange and do all the other things that money should do. But Bitcoin does this. It can be used in place of Dollars, Euros, gold or whatever other currency you want to use. Bitcoin actually works, and it works extremely well. Perhaps the most important part of Bitcoin is that it is decentralized. It is almost impossible to stop Bitcoin. Why is this important? Because in the past any new currency that was created has had a central organization that controlled it. And because there was a central organization behind the currency it could be stopped. E-Gold had a run with creating a currency. The government stopped it. Even Paypal had a run and would have had a run at creating a central currency were it not for governments. Paypal had to collapse under the fold and fall under government "regulations". Bitcoin is different. Like torrents, Bitcoin can be stored on any computer and anybody can tap into and modify the Bitcoin database. There is no central server that runs Bitcoin. If you stop one server another server pops up. If you stop one company another company still exists. Bitcoin is a virus that can't be stopped so long as there is digital storage and electricity to transfer it. Bitcoin is decentralized and almost impossible to stop. Even if governments make Bitcoin illegal people are still going to use it. Just as it is illegal to download music nobody cares. Ultimately people want to live the life they want to live. And if archaic laws get in the way of the next evolution of living then people aren't going to care if they're breaking the law. Just as the law used to be to own slaves, people aren't going to care when they've discovered that owning slaves is a less precise way to live. When people discover that they can and should get music for free, they're going to do it, even if that breaks the law. When people discover that they can commerce with each other without big brother telling them how to do it they will. And when people discover that they can store their wealth in Bitcoin, without ever having the government confiscate it, they most certainly will. Legal or illegal. Transactions in Bitcoin are instant. It is almost silly to send a "wire" these days. Yeah a 4 day wire that travels at the speed of walking, lol. Bitcoin makes any other form of transaction look slow, because they are. A Bitcoin transaction shows up on the blockchain within seconds. As soon as I send BTC to somebody they can see that they received it within a few seconds. From there it takes 10 - 30 minutes for them to confirm that this transaction is legitimate. But what about credit cards? Those are instant too. Not really. A credit card isn't even a full transaction really. A credit card purchase is a central company saying, node 1 sent X to node 2. But the transaction is like insurance between 2 parties. The credit card company is basically creating this transaction virtually and insuring that this transaction will go well in the future. But this transaction isn't set in stone. That's why we have chargebacks with cards. That's why cards make you confirm lots of things. And that's why credit card theft is so prevalent. Credit card companies are moreso in the transaction insurance businesses than the actual transaction business. A credit card company is insuring that a transaction is legitimate between 2 parties, but should something go wrong then the transaction will be reversed. And the transaction isn't finalized instantly. The transaction takes months to fully finalize. And even then the transaction can still be un-finalized. This is simply not the case with Bitcoin. All Bitcoin transactions are final. There is no such thing as a chargeback in the Bitcoin world. When funds are sent they really are sent. Unlike the fiat empire. If you're willing to wait a day or 2 transactions are free. If you want your transaction finalized in 10 minutes or so it will cost you... like 0.01 cents. Even you send $1,000,000 in Bitcoin, still just 0.01 cents. That's a pretty fair price to transfer that much value. Nothing can even come close to competing with how cheap it is to transfer value via Bitcoin. Bitcoin is Bitcoin no matter where you are. Bitcoin doesn't change value when you're in different countries. Bitcoin doesn't work differently in different countries. 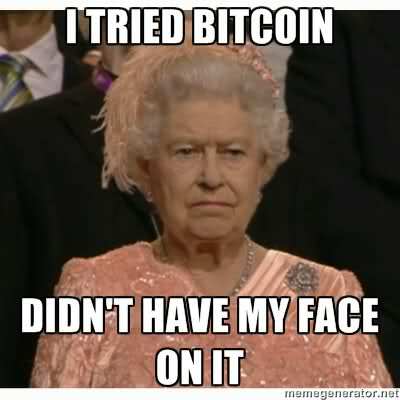 Bitcoin is country agnostic. It doesn't matter what country you're in, so long as you have the Internet and a device, Bitcoin is ready to work for you. Anyone can use Bitcoin. Bitcoin doesn't care about your credit score, it doesn't care about your age, it doesn't care what you want to use it for. Bitcoin is there to facilitate commerce on the market -- exactly what currency should do. Bitcoin has never been hacked. Bitcoin has never had a transaction go through that was incorrect. Let me state that again. Bitcoin has never been hacked and every transaction in the Bitcoin database is exactly the amount that was sent. There has never been an error within Bitcoin itself. The Bitcoin security track-record is 100%. There has never been a Bitcoin security breach. Yes, of course Bitcoin companies have been hacked. That's different. When Bank of America gets hacked do we blame the dollar? Of course not. And the same goes for Bitcoin. Bitcoin itself hasn't been hacked. The US Dollar has been hacked. The US Dollar currently has a trojan horse called the Federal Reserve taking it for a ride. I could go on and on about Bitcoin. The true value is absolutely amazing and it will only be discovered as time goes on. The people who understand economics and who understand money know the importance of Bitcoin. That is why so many of the best entrepreneurs are all over Bitcoin right now. It is prime picking to build infrastructure around Bitcoin right now. The Google and Facebook of Bitcoin are still yet to be invented. I look forward to the day when Bitcoin will replace fiat currencies and expose them for what they really are: wealth extraction viruses. You can call it hacked, but according to this definition the blockchain is hacked daily because that's how the blockchain works. The blockchain has a queue of many transactions that await the processing power to determine which chain is the longest and most legit. It's possible for transactions to remain unconfirmed if they are on a block that does not get adopted as the longest and primary chain to build off. That is really all that happened here to a large scale. This kind of thing is less common these days because there are so many resources behind the blockchain it stabilizes the volatility of block confirmation. conclusion... if they're able to delete,change, restore etc. things and go back to the previous state , so there is actually group of people who control entire system. Quinton Figueroa: That's how bitcoin works. Where or how does someone start using bitcoin? Almost agree! Bitcoin is designed to connect with our daily living. Some say it's economical. No wonder why Bitcoin surpass gold value. It's more convenient to use. I'm still hoping there will no lacking in using this. I encourage people to buy bitcoin.